The National Kitchen and Bath Association (NKBA) is a nonprofit trade association that promotes the professionalism of the kitchen and bath industry. Established in 1963 as a network of kitchen dealers, it has grown into the premier association of distributors, retailers, remodelers, manufacturers, fabricators, installers, designers, and other professionals. The NKBA’s certification program emphasizes continuing education and career development, and includes designers and professionals in all segments of the kitchen and bath industry. Fifty years after its inception, the NKBA has a membership of more than 60,000 and produces the annual Kitchen & Bath Industry Show (KBIS). If you’re interested in completely remodeling your kitchen or bathroom, modernizing or updating a room (or rooms! ), or finding ways to creatively utilize existing space in your home, the National Kitchen and Bath Association is the place to look for professionals. With more than 14,000 member companies, representing all segments of both the kitchen and bath industry, members of NKBA know high-quality design and materials and have a vast knowledge of construction, mechanical, plumbing, electrical systems, building codes, and safety regulations. 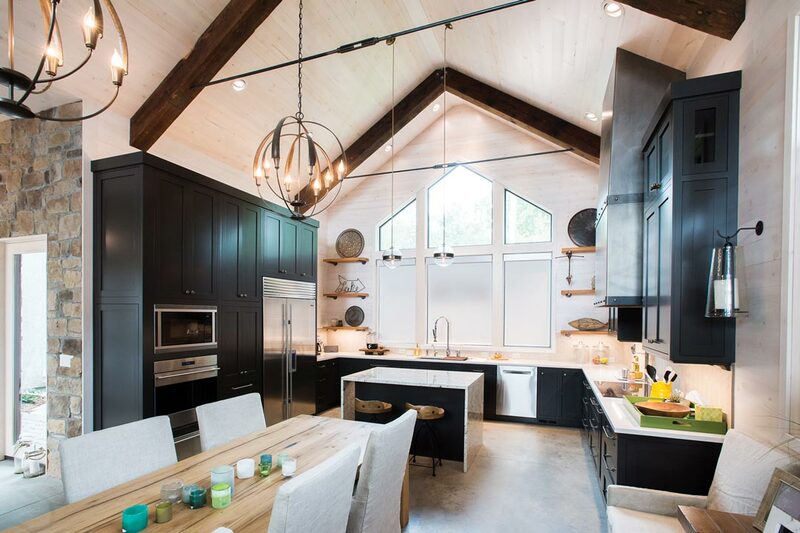 Certified professionals can also speed up the remodeling process with proficiency in planning, design documentation, selecting finishes and materials, bidding and estimating, and managing contractors. 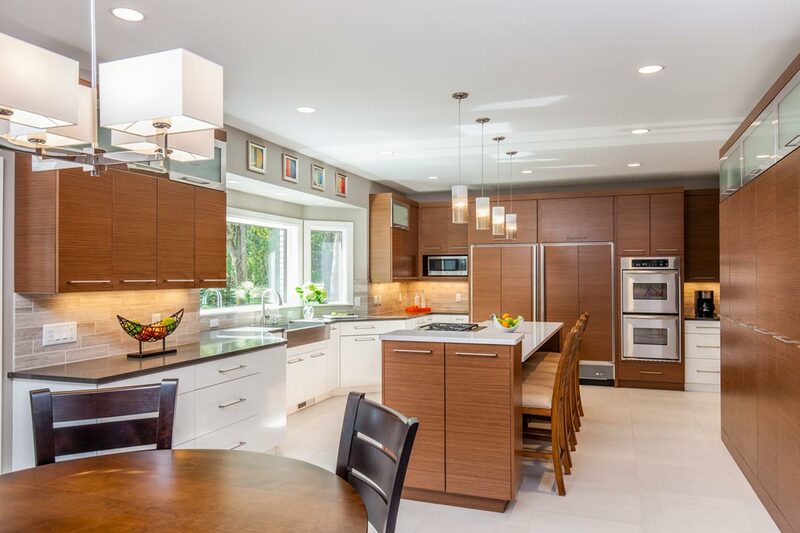 NKBA professionals also work towards advancements in sustainability, creating energy efficient spaces with environmentally friendly projects and providing education on green design. When remodeling a kitchen or bathroom, hiring a designer may not be at the top of your list. However, the cost of hiring a professional designer is a small fraction of the project budget, and investing in one can mean you save in other ways: Time, money to fix potential problems in the long run, and the overall hassle of taking on a large project. •Have five years of full-time residential kitchen/bath industry experience, including proven knowledge of kitchen and bath design, as well as construction, mechanical, plumbing and electrical systems. •Completed a minimum of 60 hours of NKBA professional development programming. •Passed a rigorous, two-part exam testing academic knowledge and practical skills. 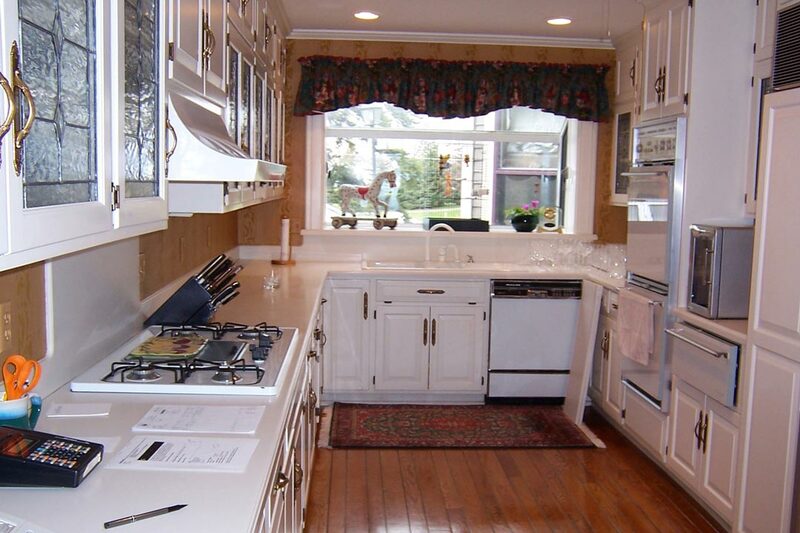 •Be an expert in the NKBA Kitchen & Bath Planning Guidelines & Access Standards (31 kitchen and 27 bathroom planning guidelines), which recognize the importance of consumer health, safety and welfare in kitchen and bath design. •Remain current on local building codes, safety and environmental regulations and the wealth of new products and equipment through ongoing continuing education requirements that mandate a minimum of 10 hours of continuing education every two years. •Hone skills to assess client needs and create designs that meet and exceed these requirements. Do your research. Pick several designers or dealers in your area; meet with each of them and trade ideas and suggestions. Make sure they’re qualified for your needs and ask to see past projects and/or a portfolio. Clean, neat showrooms. Showrooms serve as a way for designers and dealers to showcase their work. When a showroom is messy, missing elements of displays, or not completed professionally, it might be a warning signal to look elsewhere. Interesting designs. Look for a professional who designs outside the box. This is a major investment and you don’t want to settle for same old. Well-constructed presentations. Craftsmanship is just as important as innovative design. If your kitchen or bathroom isn’t built well, you’ll feel as though it was a wasted investment. Broad range of styles. You’ll want a professional who can create more than one look. If all the products or designs have a similar look, you won’t feel personal. Friendly, helpful staff. A kitchen or bath remodel could take months to complete. You will be in close contact with these professionals during this time and you want it to be an enjoyable experience. Satisfied client references. If a designer is unable to provide you with a list of satisfied clients, proceed with caution. 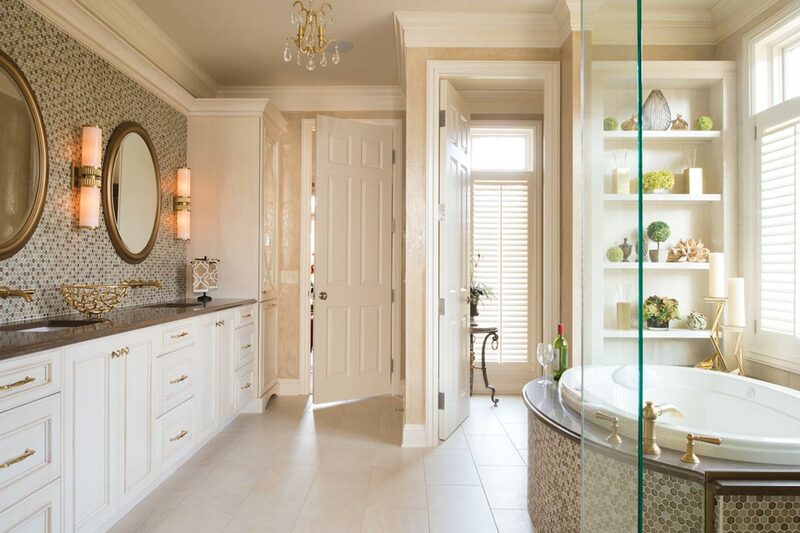 Bath and kitchen designers certified by the NKBA will help guide you through the process, whether you need a little help planning your project, just want professional advice, or hope to gather creative ideas for rejuvenating your space. To find a member near you, visit nkbamn.org. Like side ponytails, neon windbreakers, and totally tubular valley girls, this kitchen was stuck in the 80s. Its boxy shape made it too small to entertain, and outdated finishes made it feel bland, not at all a representation of the homeowners’ sophisticated style. 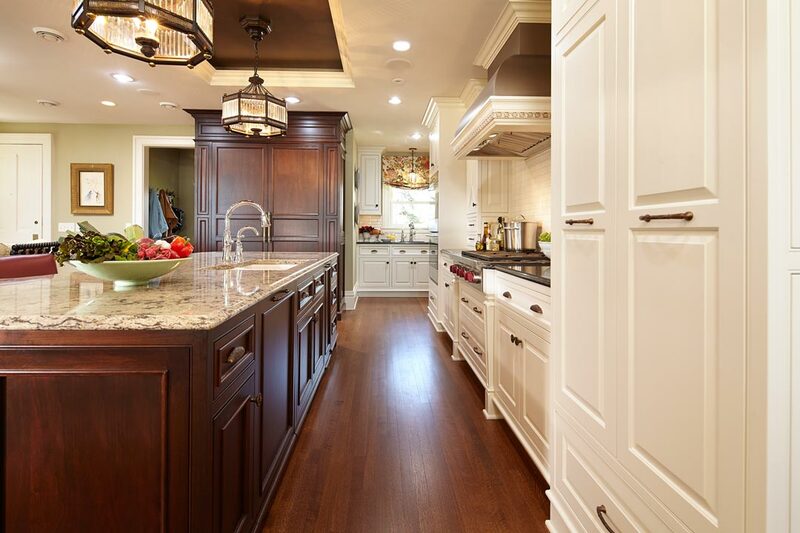 The nearly 40-year-old kitchen didn’t match the grandeur of the Lake Minnetonka home, originally built in 1879. A separate breakfast room was divided by a masonry fireplace and steep staircase to the basement, creating an additional hazard. Sara Carstens, AKBD, of Adler-Allyn Interior Design LLC, in collaboration with Kristen Veenstra of Kristen Veenstra Design, was hired to modernize the space while retaining the home’s original charm. The space was opened up by removing the basement stairway and fireplace, creating a spacious kitchen. The updated kitchen includes a pantry and prep area, cooking wall with oven/microwave combo, range top and hood, armoire-style refrigerator, and a large island with seating. A separate sitting area features a wall-mounted 60-inch TV and gas fireplace. The cooking wall hides a safe new staircase, leading to the basement and catering kitchen. 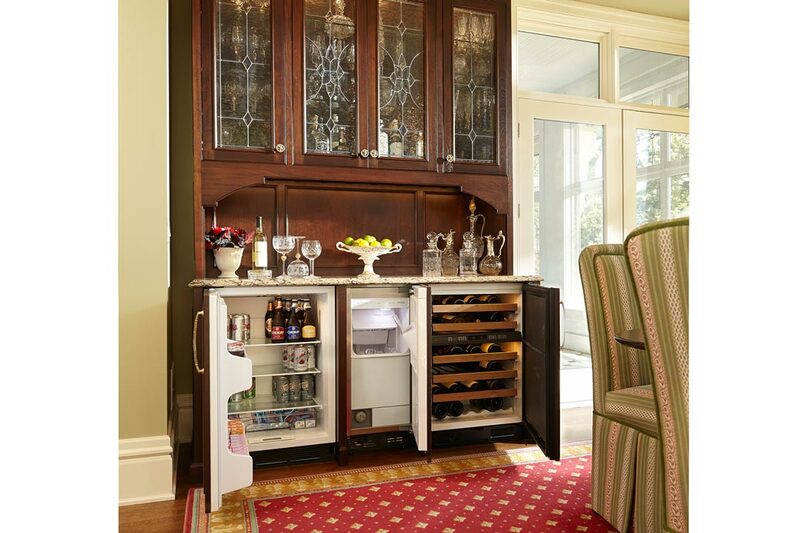 The leaded glass was incorporated into a buffet in the breakfast area, concealing the under-counter fridge, ice maker, and wine cooler creating the perfect space for entertaining. A large table, overlooking Lake Minnetonka, doubles as a spot for business meetings and a gathering place for family and friends. Previous articleAn Edina Hideaway by TJB Homes, Inc.